Britain’s most ancient trees are in danger and we urgently need to protect them. We have the largest collection of ancient Yew trees on earth, including some considered to be among the oldest trees of any kind on the planet. Some are over 5,000 years old. They are incredibly precious and a vital part of our heritage – but we are gradually losing them one by one as they currently have no legal protection. This must urgently change. I’ve been enchanted by yew trees, known as immortal giants, ever since I first came across one over 40 years ago. I’ve spent years studying them, writing about them, and campaigning for their protection. Over 500 ancient Yew trees have been destroyed since the Second World War. Two years ago I was heartbroken when I went to check on a yew tree in the Welsh town of Penegoes, only to find it chopped down into pieces and stacked waiting to be turned into firewood. For thousands of years the yew was considered sacred across Britain. They are a living connection with our past. Having survived for so long, the prospect of losing them now is unimaginable. There are approximately 157 ancient Yew trees – aged over 2,000 years – across the UK. The vast majority are in churchyards, which puts the trees at great risk as the church declines and church land is sold off. Currently the only recourse is to go through the long and difficult process of getting a Tree Protection Order, which would mean if the trees were destroyed by a developer, the developer would have to pay a small fine. In parts of Europe, trees of just a few hundred years of age are protected by far greater fines of around 50,000 Euros. Currently there is no legal protection for these beautiful trees.It’s urgent that we protect this vital part of our heritage with specific legal protection before we lose any more. These Yew trees have been a part of Britain for thousands of years. They are our ancient living monuments, our ancient living witnesses to the history of our ancestors and our civilisation. We must protect them as a matter of urgency before any more are lost. 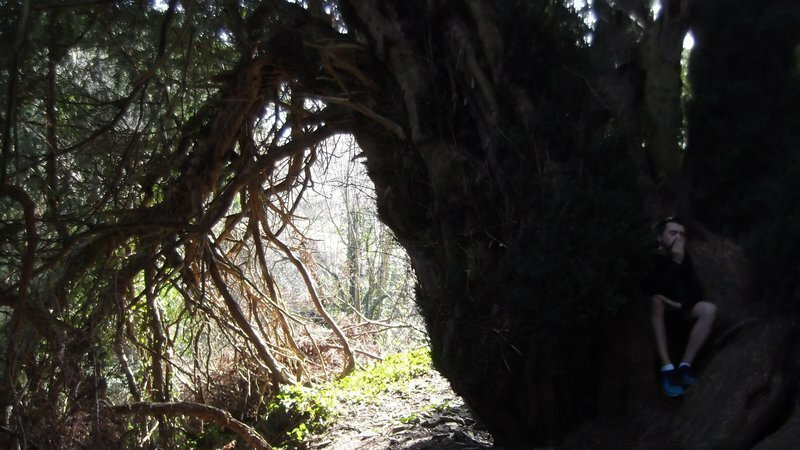 Please sign my petition calling for our ancient Yew trees to be protected by law. This entry was posted on 16 March, 2019 in homepage. Bookmark the permalink.